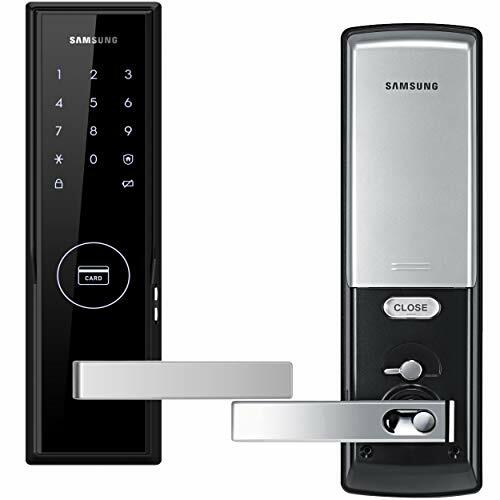 Honeywell electronic digital entry levers feature traditional key access as well as the ability to unlock with a Programmable 4 to 8 digit user code (keyless entry). These Honeywell locks allow the owner to program up to 50 different user codes and delete them as desired. 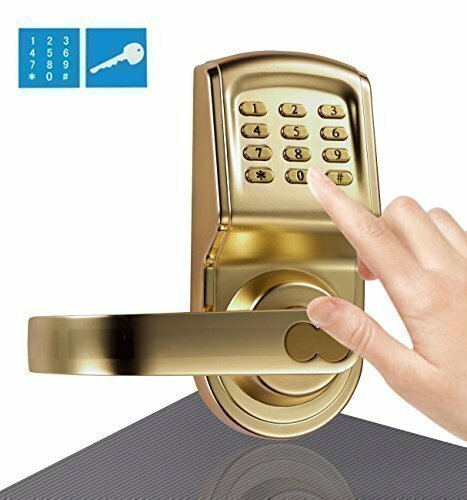 The Honeywell polished brass electronic digital deadbolt allows you to set an automatic lock function that will return the deadbolt to the locked position at a programmed amount of time after the lock is opened. There is also a vacation mode that puts the system into a low power consumption state and disables all buttons and functions until the programmer chooses to reactivate the lock. 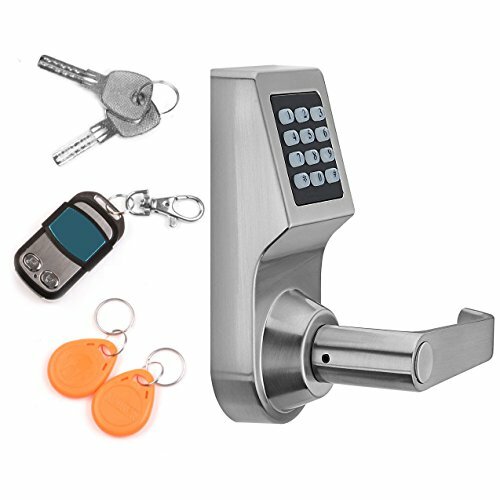 The lock features bump protection, an installation hardware kit and 2 keys, a single cylinder deadbolt, and is easy to install with PHILLIPS head screwdriver. The battery requires 4 ‘aa’ alkaline batteries (not included). LH Licensed Products, Inc. leverages premium consumer brand power to deliver innovative solutions for unmet and emerging consumer needs around the world. Our products are currently available in over 70 countries across the globe. LH Licensed Products, Inc. is the exclusive licensee and manufacturer of Honeywell Safes, Paper Shredders and Door Locks. Our partner company, Lewis Hyman Inc. began in 1930 as a family window treatment business in New York City. Widely recognized for lifestyle product innovation, Lewis Hyman Inc. has established a tradition of quality and service, spanning three generations and over eighty years of expertise. Use your Amazon gift card and search our other amazing products at our Amazon storefront. 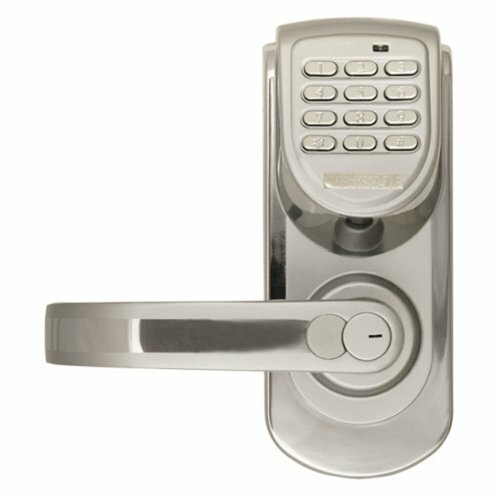 DIGITAL DOOR LOCKS – Honeywell digital door locks provide security for your home with a convenient keyless entry function. The digital door locks install in minutes with pre-drilled holes in the door, all you need is a phillips screwdriver! The package contents include an adjustable latch, mounting kit, instructions and a drilling template. All Honeywell door locks are backed by a limited lifetime mechanical and finish warranty. 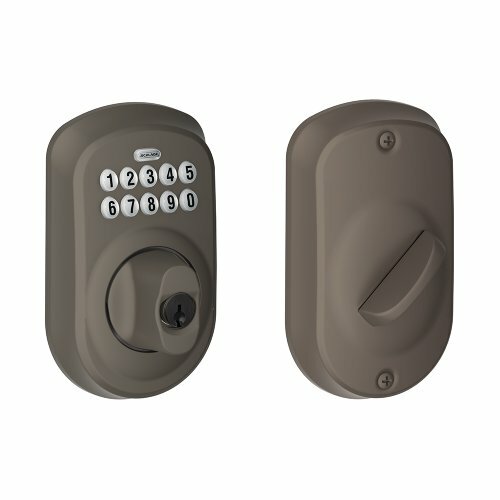 FEATURES – The Honeywell electronic entry lever features a convenient one-touch locking system, 50 programmable user codes, and an alarm that sounds after four incorrectly entered codes. 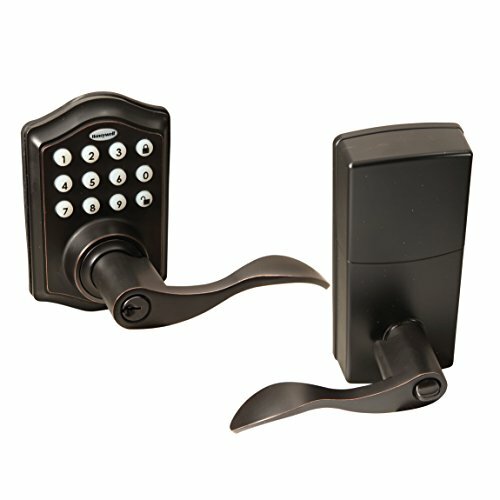 The oil rubbed bronze electronic entry lever suits a range of doors and home decor styles. The electronic lever fits a 1 3/8 inch to 1 3/4 inch door thickness with an adjustable latch that fits 2 3/8 inch or 2 3/4 inch backsets. 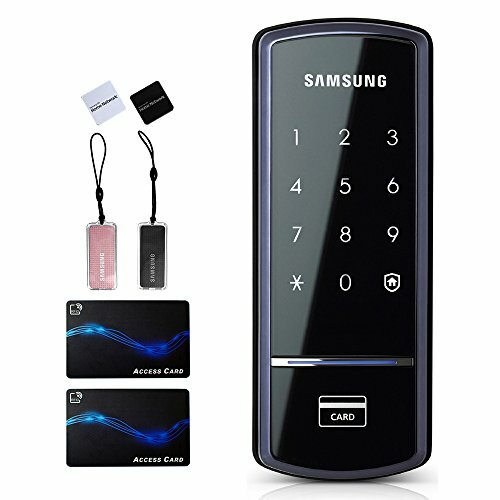 The electronic door lock requires 4 “aa” alkaline batteries to operate. QUALITY MADE – As a Honeywell brand licensee, we have a responsibility to conduct ourselves with the highest levels of integrity in everything we do. This helps us sustain the credibility of the brand, maintain the strong reputation, and build on our track record of growth and performance. From the shop floor to the boardroom, all Honeywell licensees and representatives are held to the highest standard and we exceed all laws and regulations in the countries where we do business. SECURE – Honeywell Safes, Paper Shredders and Door Locks are manufactured and distributed exclusively by LH Licensed Products, Inc. These products provide security and safety for your important and irreplaceable documents and your most valuable personal possessions. We offer products that help deliver peace of mind by protecting your belongings against damage or loss in the event of fires, floods and other natural disasters as well as unauthorized intrusion and invasion of your home and office. TRUSTED COMPANY – The Honeywell trademark is licensed from Honeywell International Inc., a Fortune 100 company that invents and manufactures technologies to address some of the world’s toughest challenges linked to global macro trends such as energy efficiency, clean energy generation, safety and security, globalization and customer productivity. Technology from Honeywell International Inc. is in 150 million homes and 10 million buildings worldwide.